I'm looking for a new maintainer (to replace me) for this project. Not supported: 2015 (J/K series) or newer. Samsung TVs now run on Tizen which is for now outside the scope of this app. Initial Discussion created by @GeurtDijker, most relevant old discussion will be appended. Ask any Moderator to add/update/correct this Discussion. 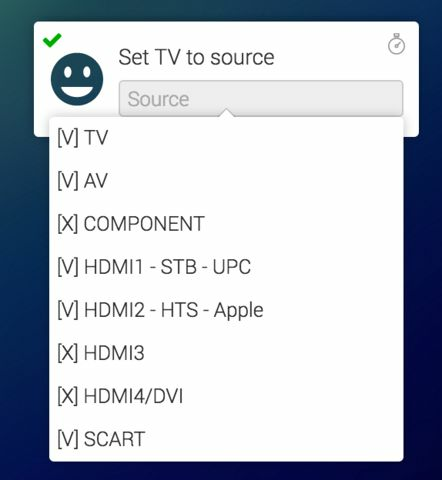 Is anybody working on a samsung tv app? states it's a community-app so don't expect something from Athom anytime soon. Be used with homey to help create an app? Still working on it . Used (an edited) version of this indeed. But unfortunately, it's not enough. I have to communicate with the Samsung TV's in literally 4 different ways to get (and set) all the information needed. Samsung provides no or very poor documentation, so I inspected the network traffic of the mobile app to some reverse engineering. 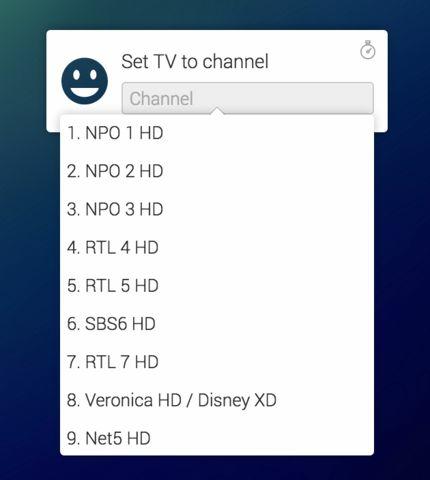 They have really done all kinds of crazy stuff, the list of channels is for instance only available in a DAT file that uses some custom encoding. If you're interested in my findings, check https://github.com/casperboone/homey-samsung-smart-tv/blob/master/samsung.md. Samsung has an horrible api with authentication. Maybe for a different model, authentication wasn't actually an issue in my case. You just have to accept the incoming connections on your TV. What kind of model tv do you have? Switched back to my old forum account. Great! It is not ready for testing yet, but please send me a message on the Athom Community Slack (username: casper). I sort of 'completed' the code this evening, so just send me a message on Slack if you still want to test the app. would this app allso work with the UE55HU8500L ? Would this app also work with the UE58H5203AW? Just installed it but sadly I get the following message: TV on 192.168.1.109 was not found or is not compatible. Not sure yet on which models the app will (eventually) work. Samsung is really inconsistent with, well, everything actually. So probably you will just have to try it when it's released. At the moment there are two people testing my app. In both cases, the app does not work correctly, so apparently I still have some nice debugging to do. This does not necessarily mean that your tv is not compatible (at the moment), there can be a lot of other thing causing this message. Currently I'm keeping the test closed to a really small group, but as soon as it 'kind of' works, I will post an update here and support more beta testers. In case someone thinks 'Hey, how did posthok install the app already when he is not in the closed test group? ', it is publicly available on GitHub, just not offering support yet to more testers . Any progress making the samsung app? Making slow progress, but quite busy with other things atm. Will probably continue it next week. It's working great for my 2013 model, but some of the functionality is currently not working for 2012 or 2014 models (I believe all models >= 2015 run on Tizen, so they will not be supported). Hm.. Used the wrong forum account again, why cant you delete accounts..
Yeah they implemented a secured API with some sort of pairing process. Have tried to find more information regarding it on internet but so far just some closed-source android/apple apps that work with the TV and one wacky windows command line thing without source. In the 2014 model, right? By the way, does anyone have a 2013 model? Curious about results from others on that model. Just got my UN55F7100AFXZC yesterday! I will try and see if it works tonight when I get home.